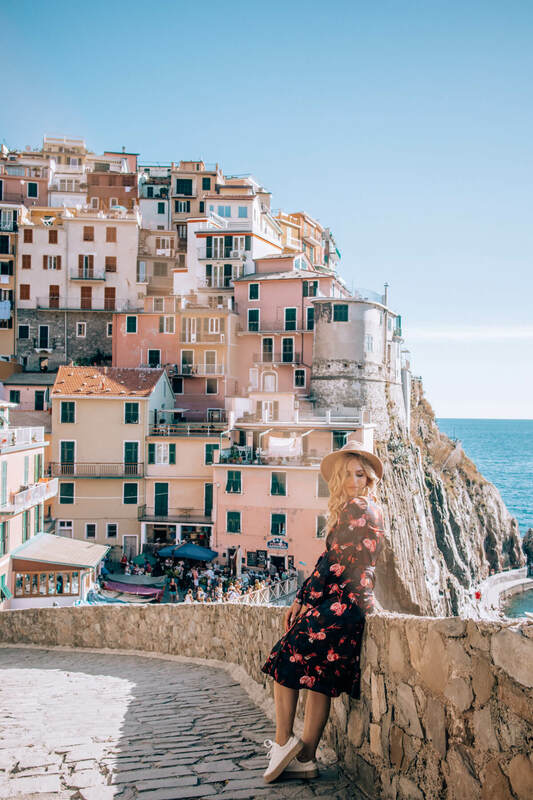 Manarola is one of five little towns known as Cinque Terre. It is probably the oldest one of them all, the since the cornerstone of it’s San Lorenzo church date back to 1338. I visited this picturesque town while this year’s Italy roadtrip. From the city of La Spezia (which is also the province) I took a train and explored this beautiful town on foot. 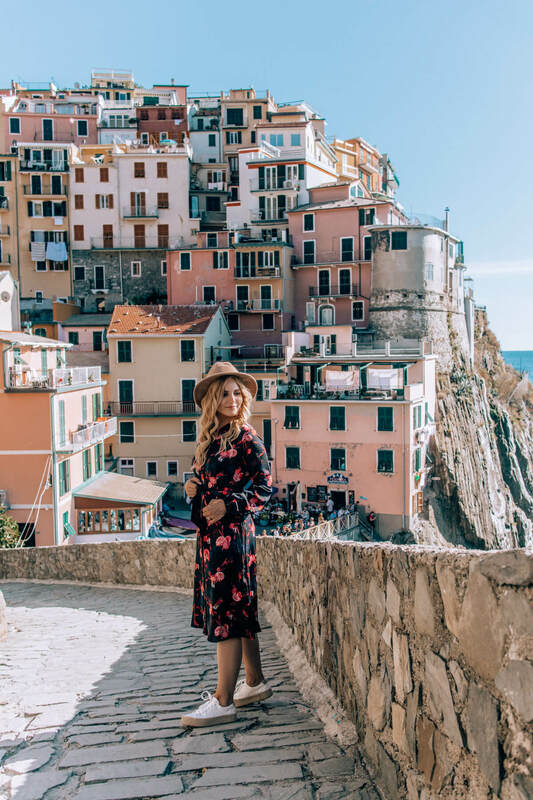 Liguria is so colourful, full of little towns with cute pawed streets, certainly unforgettable, but at the same time extremely crowded. Cinque Terre area is particularly popular among tourists during summer months, the end of September (when I was there) is actually already the end of high-season, but there were still lots of tourists from all over the world. Nevertheless, I still managed to take some outfit photos in this gorgeous flower dress from Tom Tailor. 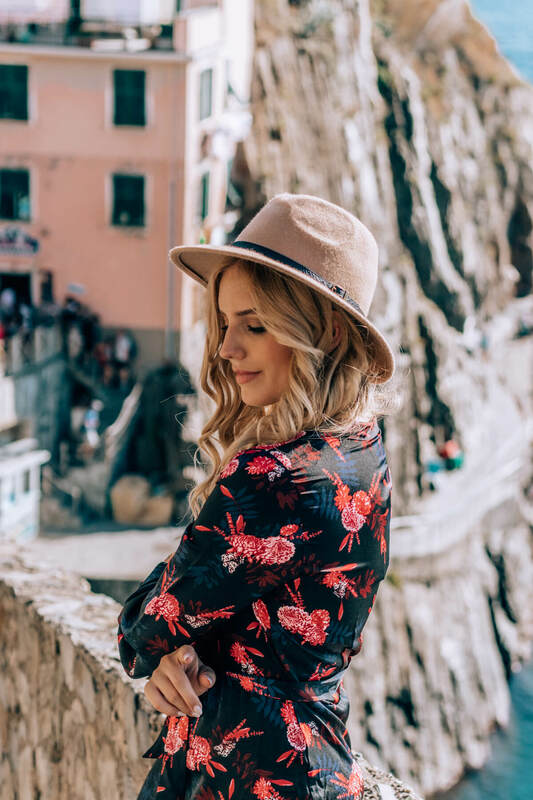 What to wear when exploring Cinque Terre? 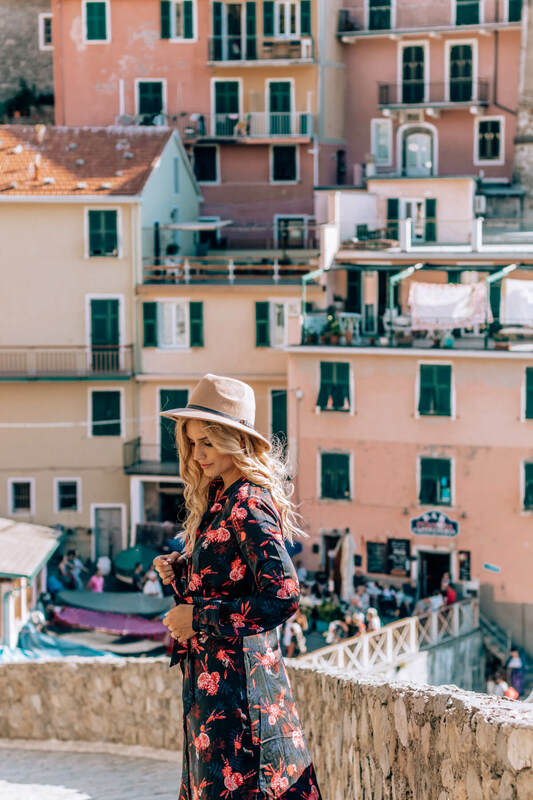 Certainly something light and airy, especially if you’re discovering Cinque Terre during warmer months. 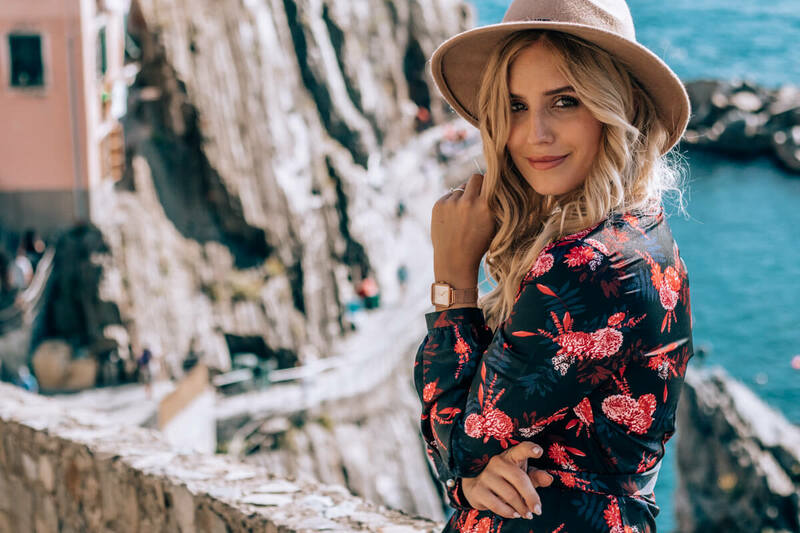 It can be extremely hot during the summer and the end of September was still pleasantly warm enough to wear a light midi dress with long sleeves. When it comes to footwear, I highly suggest you take sneakers, since the roads are paved and the landscape is relatively hilly. 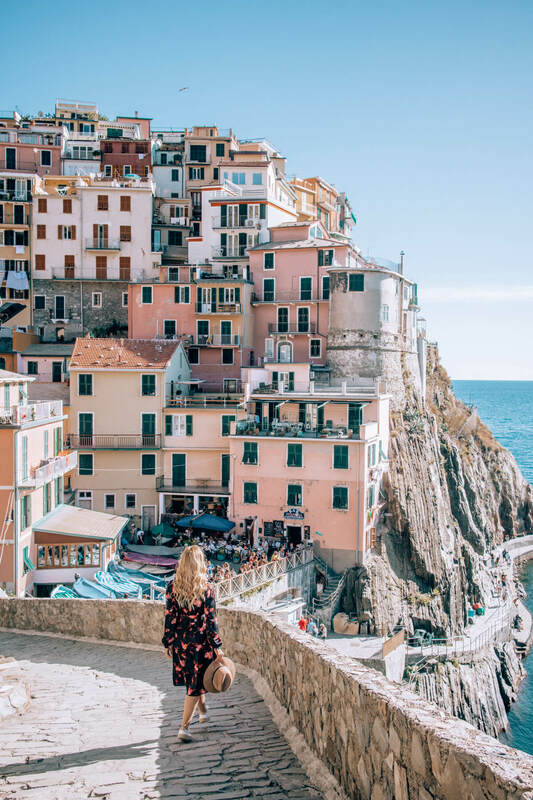 There’s a magnificent route that runs from Manarola to the neighbouring town of Riomaggiore, called Vila dell’Amore (Love’s Trail) – if you have time and energy, I high suggest you walk along the coastline and enjoy the beautiful view.